About Us | Cherokee West Enterprises, Inc.
Cherokee West Enterprises Inc. is a leading supplier of new and used shipping and cargo containers nationwide. We are proud to provide some of the best pricing in the industry, and our fleet of shipping and cargo containers is second to none. About us — What Makes Us Different? 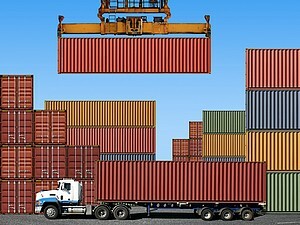 Our experience and participation at all levels of the overseas containers shipping industry has allowed us to team up with key transport and logistics companies, providing strong connections for delivery throughout the U.S. and Canada, as well as points in Europe, Asia and South America. This, coupled with our support staff in China and our ability to manufacture new containers, allows us to provide pricing and service that cannot be matched. Domestically, we offer door to door ground delivery to almost any point in the U.S. and Canada. We serve anyone who needs containers. In addition the individual clients, we have manufactured and provided shipping and cargo containers for corporations, public and private institutions, steamship lines, as well as specialized equipment for government and military projects. We are proud of our long-standing reputation for reliable, personalized service to ocean carriers, retail chains, the military, freight forwarders, construction companies, trucking lines, storage facilities, used container retailers, equipment resellers, and independents. Our containers have many uses beyond just shipping and cargo. Containers provide instant wind and water tight storage for a multitude of uses, large and small. We provide a product that is secure, lockable, weather and fire resistant to a list of customers that includes factories, service stations, schools, hospitals, rental companies, ranchers, auto dealers, recyclers, ‘preppers,’ container home builders, municipalities looking for housing solutions for thier homeless population and more. Whether you’re looking for one new container or 500 used containers you can count on our sales/logistics staff to come through for you. Long time clients have come to rely on us for friendly, expert service that includes prompt on-site container delivery, fast and dependable set up, and container buyback options, with ongoing customer support. We at Cherokee West Enterprises Inc. appreciate your interest and hope that you will let our experienced staff assist you in making the right container selection and ensure your project is a success. Contact us today for friendly, expert service. See our product line of new and used shipping containers.